Puff Pastry Berries & Cream Tarts is a delicious Fruit Tart recipe. 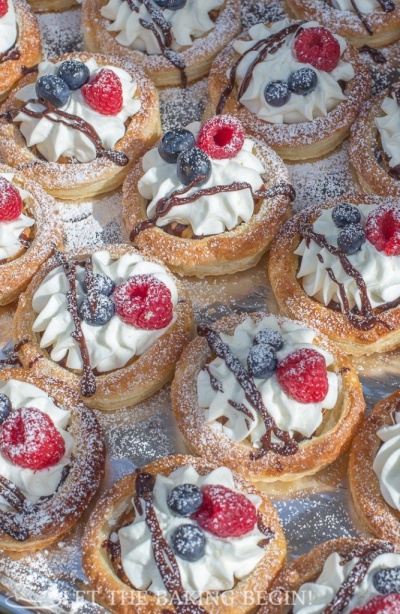 These puff pastry tarts are made with frozen Puff Pastry, filled with Sweetened Cream, then topped with berries and a drizzle of chocolate ganache. No one will believe that these are homemade tarts and not bought at a fancy bakery!